Additional information GORGEOUS is a 5yo KWPN bred gelding by Uphill x Wolkentanz II. He has a very nice temperament, is easy to ride, willing to work and try to please his rider all the time. 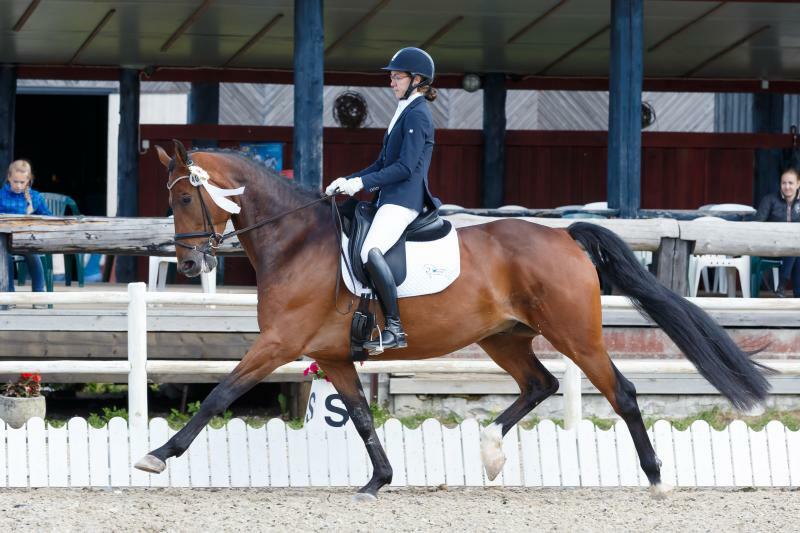 Already has a lot of competition experience in young horse classes, as well in L level with results between 68%-74,4%. 2nd place in Lithuania championship 2015 in 4yo horses class. Winner of 5yo classes in Lithuanian championship 2016. Trained in line with his age. Already know half passes in trot and canter, flyinge changes. A dressage horse with very correct gaits. Ideal for everybody who wants develop a young horse.